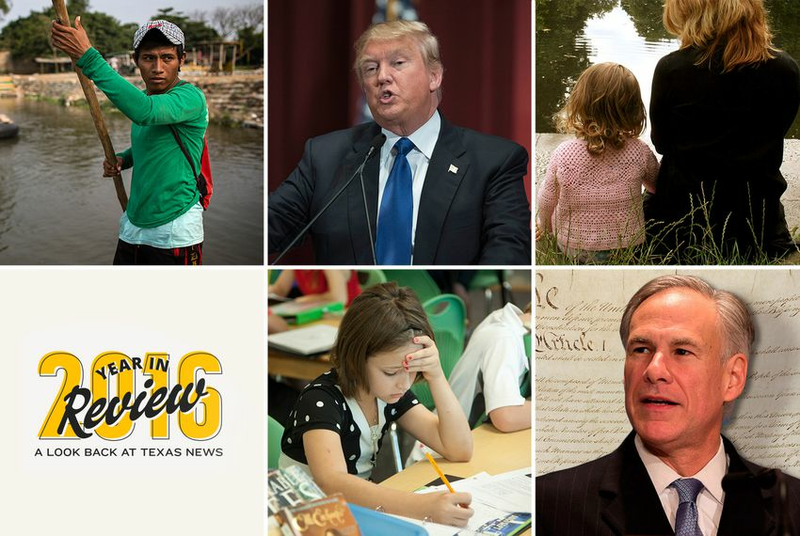 Election years in Texas are never for the faint of heart, but 2016 proved even more chaotic than usual — and everyone who wrote for TribTalk had an opinion on the direction the state and country are headed. Election years in Texas are never for the faint of heart, but 2016 proved even more chaotic than usual — and everyone had an opinion on the direction the state and country are headed. Donald Trump's unlikely journey to the presidency has had prominent Texans talking all year. When he clinched the Republican nomination in May, Lt. Gov. Dan Patrick called for GOP unity while state Rep. Jason Villalba mourned what he saw as the death of the Republican Party. Trump's remarks about Hispanics prompted a vigorous defense of his policy proposals from state Real Estate Commissioner Weston Martinez, a self-described conservative Hispanic Republican. His remarks to a crowd of evangelicals at Liberty University left former U.S. House Majority Leader Tom DeLay wary of what he called Trump's "clumsy Christianity." And following the release of audio of Trump's lewd comments about women, Theresa Kosmoski, president of the Texas Federation of Republican Women, said Trump, while unpolished, is a pragmatist and a visionary. After Trump's presidential victory, Republican state Rep. Matt Krause called on conservative Texans to uphold the Constitution against federal overreach — regardless of the occupant of the White House. A May ruling by the Texas Supreme Court upheld the state's public education funding system — but only barely, with justices urging lawmakers to make "transformational, top-to-bottom reforms that amount to more than Band-Aid on top of Band-Aid." In the aftermath of the decision, Tracy Ginsburg of the Texas Association of School Business Officials bemoaned the decision's lack of a mandate for the Legislature. Wade Emmert of the Institute for Policy Innovation argued for school choice as a possible fix. And Ray Freeman of the Equity Center asked why the current school finance system has become so stigmatized in the first place. When U.S. District Judge Janis Jack ruled in December 2015 that Texas' long-term foster care system had violated children’s constitutional right to be free from an unreasonable risk of harm, it set off a chain reaction of political finger-pointing. Judge Darlene Byrne, president of the National Council of Juvenile and Family Court Judges, asked for Texans of all political stripes to come together to solve the issue of how best to care for more than 30,000 children. Dr. Kurt Senske, CEO of faith-based nonprofit organization Upbring, asked Texas families to consider volunteering to become foster parents to those in need. And former foster youth Kristopher Sharp shared his heartbreaking story of abuse while in the system. 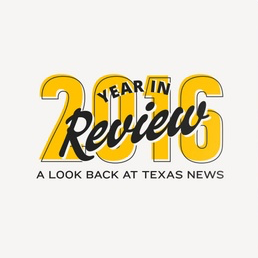 The Texas Tribune's Bordering on Insecurity project sparked intense debate all year long. Cato Institute senior fellow Ike Brannon wrote that the reflexive anger some people have toward immigration is easy to understand, but it doesn't really comport with reality, while U.S. Rep.-elect Jodey Arrington called for the United States to gather the political courage necessary to ensure America's borders are secured. However, with a border security-focused Trump administration set to take office in January, Republican consultant Ted Delisi said Washington, D.C. — not Texas — should now be doing most of the heavy lifting to curb illegal immigration in the state. Gov. Greg Abbott in January made a fresh — but long-shot — assertion of states' rights when he called for a convention of states to pass nine new amendments to the U.S. Constitution that he argued would limit the powers of the federal government. Republican state Rep. Paul Workman applauded Abbott's initiative and called for Texas to take the lead in the amendment process, while UT-Austin law professor Sanford Levinson agreed that the Constitution should be amended — but not on what those amendments should look like. Attorney Ana Jordan, meanwhile, argued that Texas should fix its own, byzantine Constitution before taking any action directed toward Washington, D.C.